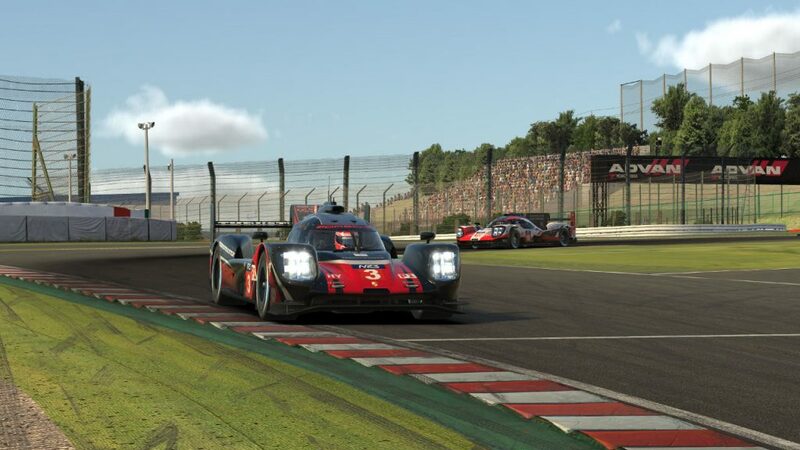 The NEO Endurance Series’ first trip to the Suzuka International Racing Circuit was accompanied by plenty of fears for the unknowns at the track, which was previously untested in high-level prototype and GT endurance racing. In the end, the day belonged to proven winners this season, who were able to negotiate the challenges of traffic and warming track temperatures by the finish at high noon. In the P1 class, Thrustmaster Mivano Racing was challenged early, losing the lead in the first hour to Porsche Basel by Sorg Rennsport eSports. However, a mid-race bounce-back saw Mivano’s Tommaso Carlà take the lead during a pit stop, which was the decisive moment in the #3 team’s fourth victory that kept them unbeaten this season. Sorg finished second while SimRC.de rounded out the P1 podium. Mivano leads Sorg in the third hour of the race. 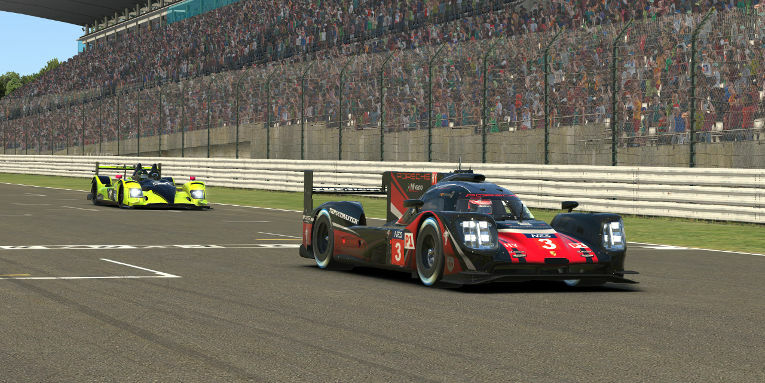 AVA Vervatic’s #39 P2 team was one of nearly a dozen cars caught up in an early crash at Interlagos, and it seemed that bad luck may have stricken them again in the first half hour at Suzuka, with pit stops on two consecutive laps dropping them to the back of the field. Undeterred, the pairing of Pascal Stix and Sven Neumann made a strong recovery, completing a steady drive to the front with a pass over TNT Racing on lap 130 that gave them the lead and the win. TNT was second and IRDK Endurance finished third, with both teams scoring their first podiums this season. Problems for the top two in the P2 standings entering the race — Apex Racing UK and Torque Freak Racing — also handed the points lead back to AVA, which has cemented its position as the championship favorite in NEO’s middle class. Multiclass traffic races down the backstretch. In the always-competitive GT class, one team was dominant at Suzuka beginning in qualifying. Simone Maria Marcenò put the Logitech G Altus Esports #83 Porsche on the pole, and from the drop of the green flag, he and teammate Andrew Kahl never looked back, earning the team’s second win this season. MSI eSports’ #75 team put up a strong fight early on, and despite falling back from Altus in the final part of the race, they held on to take a second-place finish — their third straight podium and best result of the season. 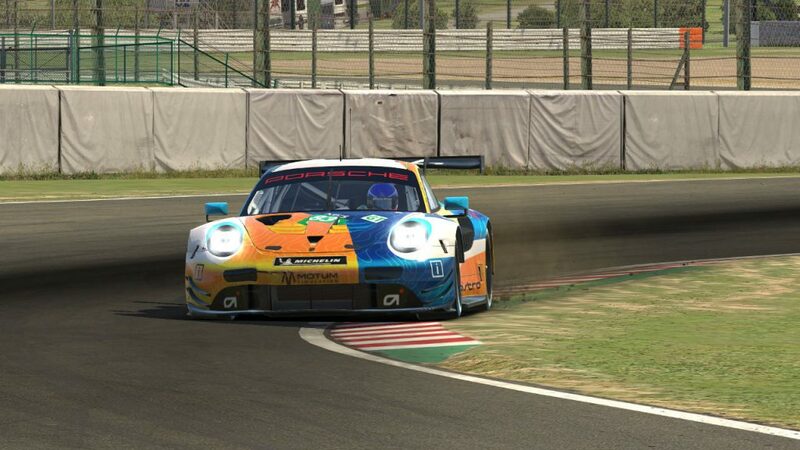 Euphoria Drivex Racing showed their Interlagos pace was no fluke, and unlike in the previous round when a crash while fighting for position ended their chances, they came away with an impressive third-place finish this time. Altus kicks up dirt through the esses in the closing laps. The top two teams in GT points entering the race also suffered problems. 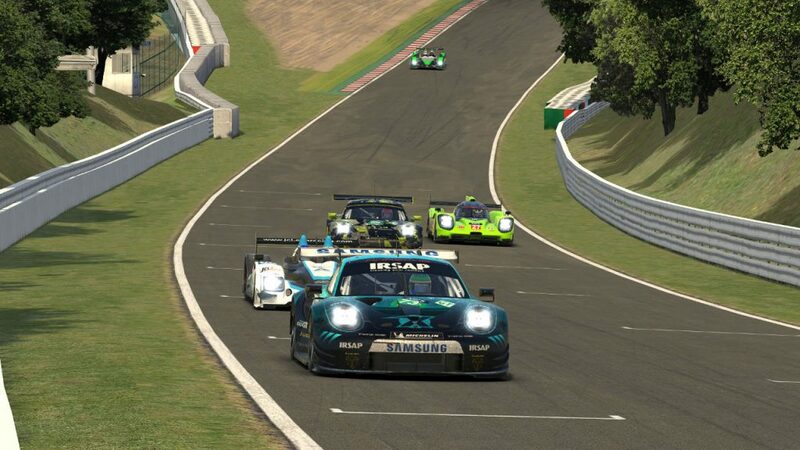 CoRe SimRacing dropped out midway through the race and TRITON Racing’s climb to the front of the field was spoiled by a penalty for contact with the #33 Schubert Motorsport HPD, leaving them in tenth place. While Suzuka didn’t have the Godzilla-like effect of destroying everything in its path, the race was still a bit of a minefield for teams to negotiate between tricky traffic, incidents around them, and the demands of the technical Japanese circuit. Ultimately, one of this season’s biggest wildcard races didn’t produce any surprise winners, but it did shuffle the deck in two of the three class standings, giving some teams a buffer and others the need to make a comeback in the final two races of the season.